After spending more than a couple of hours trying to figure out how to mount the regulator, I decided to NOT mount it at all. It's suspended by its' hoses in mid air. Well, there is a piece of radiator hose under it to keep it from moving around much. 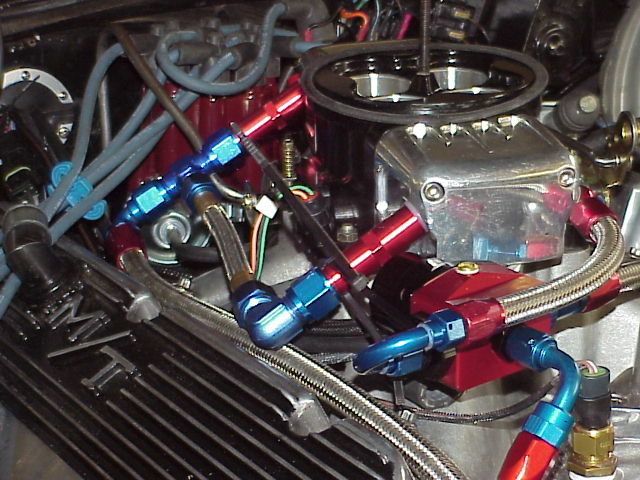 A wire tie keeps it positioned to the forward inlet pipe.